© John Hines. All rights reserved. 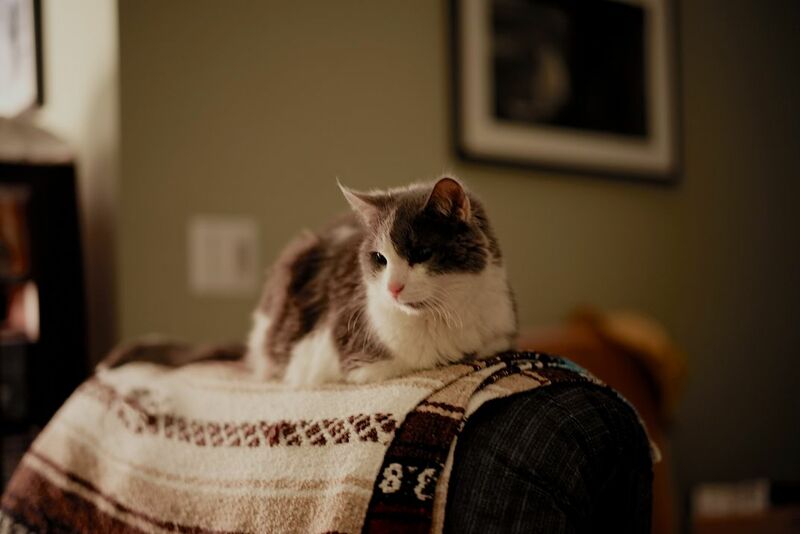 This is a photo of my cat, Samantha, hanging on the chair she would greet me when I came home of 18 years. She is gone now but I have a very good memory of her with this photo. She was my favorite thing to take photographs.